Here's a handy one to go with your veg box. Staying in is the new going out, so plan some dinner parties or barbecues, depending on the weather. Our excellent organic pork comes from Laverstoke Park Farm, where supreme animal welfare and tip top quality are top of the agenda. 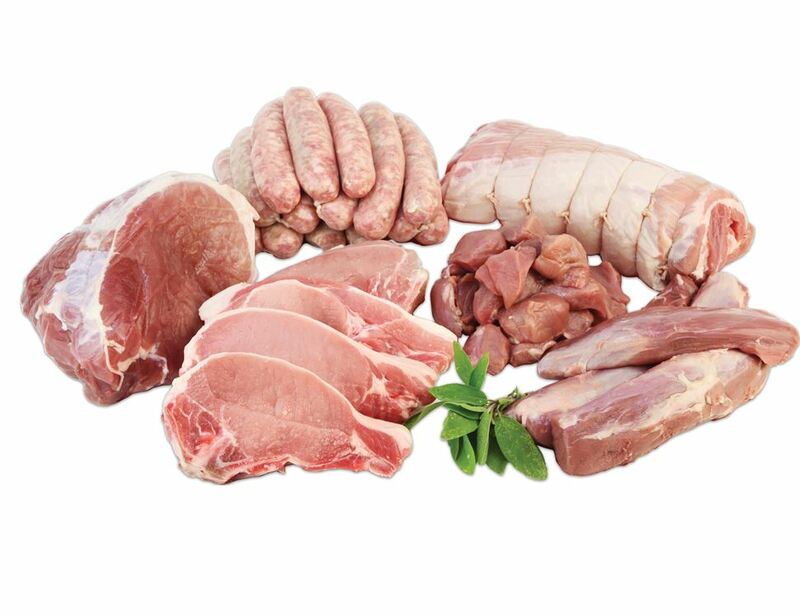 What you'll get: Gammon Joint (1kg) Pork, Diced (500g) Tenderloin Pork Fillet (500g avg) Pork Belly Joint (1.0kg avg) Pork Chops (Pack of 4, 900g avg) Pork Sausages, Family Pack (1kg) It's incredibly good value. Our pork box is from Laverstoke Park in Hampshire. The pigs have acres of glorious of room to roam around in as well as sheds in which they can shelter from the sun and rain. In summer, to ensure they don't get sunburn, they have wallows for them to cover themselves in mud. When night draws in, they sleep in cosy straw-filled huts. Laverstoke Park is a Grade II listed park of approximately 275 rolling acres which include the upper reaches of the River Test. The farm is a haven of biodiversity and forward thinking organic farming. They have complex grass leys containing over 30 different grasses, clovers and herbs as well as a diverse mix of hedges, trees, animals and crops which all contribute to furthering the biodiversity. Keep refrigerated. If freezing, freeze on day of purchase and consume within 1 month. Defrost throughly and use within 24 hours. Once thawed do not refreeze.